Remember Feisty Pets? 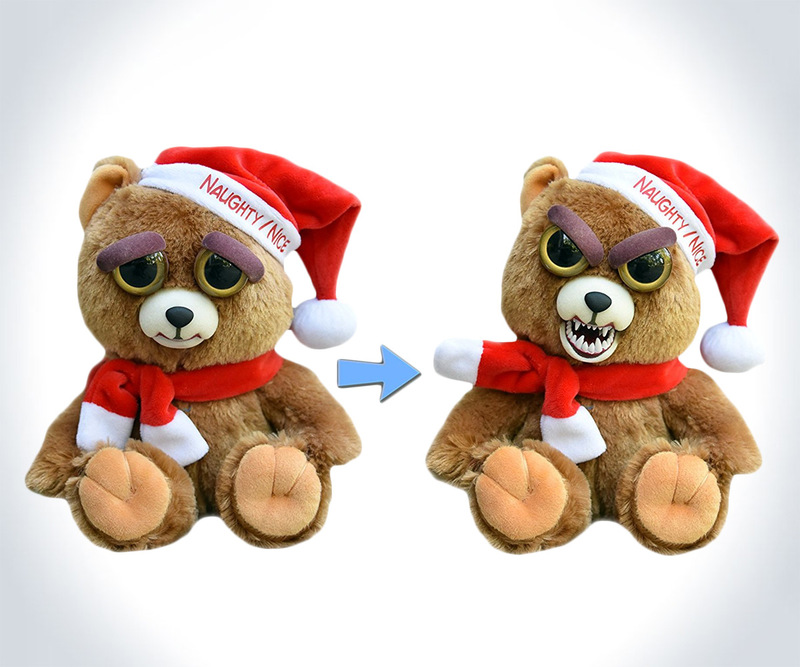 The sweet-to-snarling stuffed animals are celebrating the holiday season with a Feisty Santa Bear, the ultimate cuddly teddy who can turn vicious grizzly in the blink of an eye. Or, more accurately, a squeeze of the fur behind his ears. 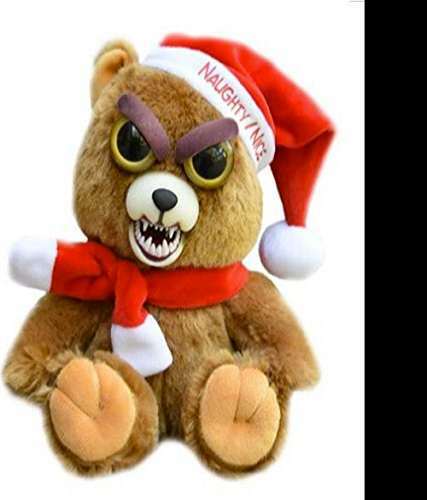 Named Ebeneezer Claws (should be Santa Claws), this special edition Feisty Pet is 8" of nice...turned naughty when you don't give him his honey. Poking the bear and baring his teeth requires no batteries. Feisty Pets are stuffed with polyester, and will look adorable sitting under the Christmas tree. Perhaps as a gift for your girlfriend who, coincidentally, displays spontaneous mood changes similar to Mr. Claws from time to time herself.